International Conference on Computational Intelligence and Security (CIS) is a major annual international conference to bring together researchers, engineers, developers and practitioners from academia and industry working in all areas of two crucial fields in information processing: computational intelligence (CI) and information security (IS), to share the experience, exchange and cross-fertilize ideas. In particular,the series of CIS conference provides an ideal platform to explore the potential applications of CI models, algorithms and technologies to IS. Following the great success of CIS'2005-2017, the 14th conference CIS'2018 serves as a forum for the dissemination of the state-of-the-art research, development, and implementations of systems, technologies and applications in these two broad fields. 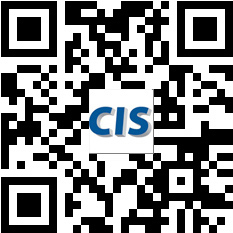 CIS'2018 will be held at Hangzhou, China on November 16-19, 2018. The CIS'18 proceedings have been available for download. The username and password will be sent to authors by email.